Meet the largest animal to have walked on Earth. No, the newly discovered herbivore from the Late Cretaceous is not a relative of Tyrannosaurus! This creature definitively earns the title of “King”: scientists speculate that the animal reached heights of 65 feet and lengths of 130 feet and weighed around 77 tons. 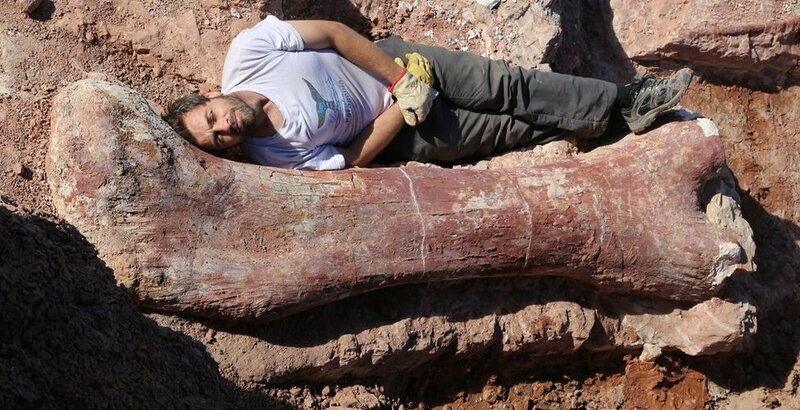 Paleontologists Dr. Diego Pol and Dr Jose Luis Carballido postulated the still unnamed sauropod’s size from an enormous thigh bone recently unearthed in the Patagonia region of Argentina. 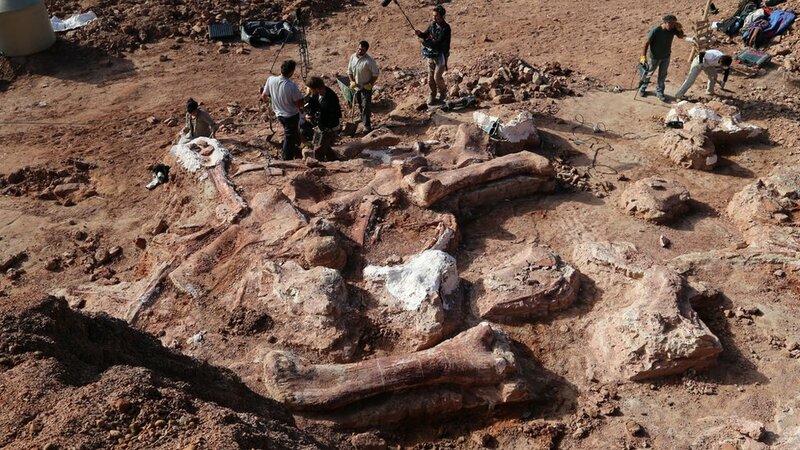 In all, the site contained 150 bones belonging to 7 different skeletons of the new species.